This tie is made of satin. 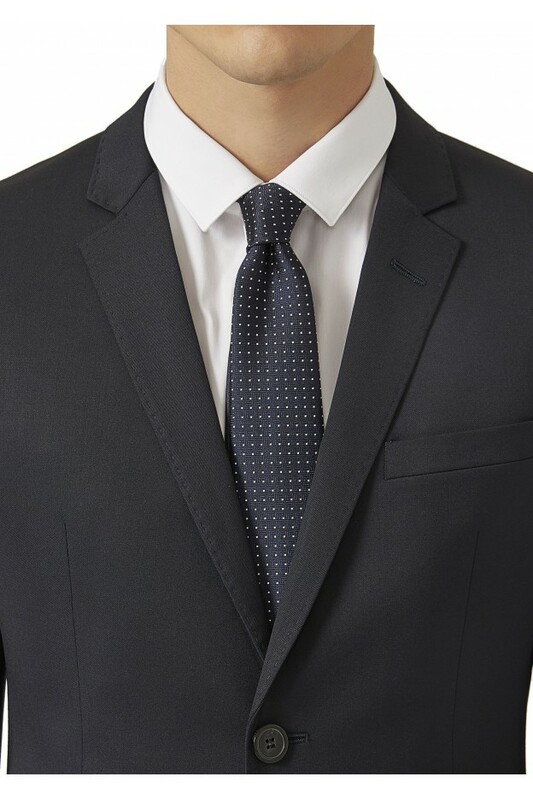 A perfect model to embellish the looks of the business wardrobe playing with contrasting textures. Sophisticated and elegant, this silk satin tie with a micro-dot pattern makes every look sophisticated. 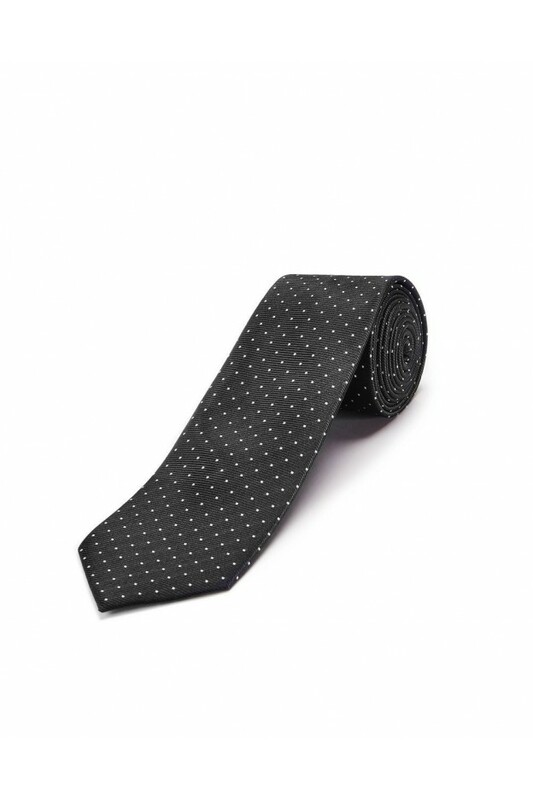 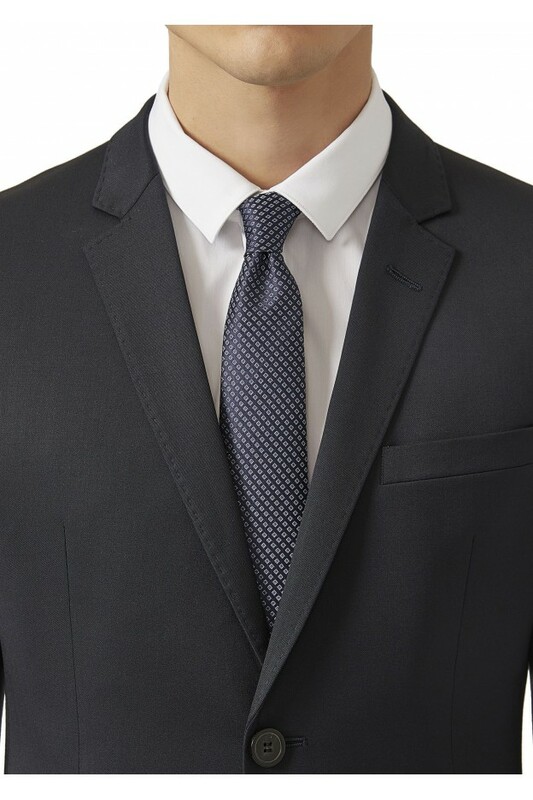 Sophisticated and elegant, this silk tie with a micro-dot pattern makes every look sophisticated. 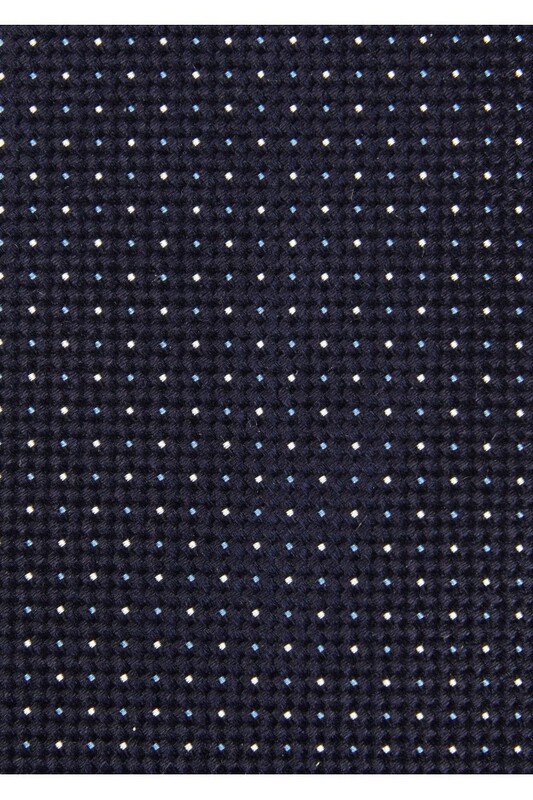 Black tie in polka dot silk. 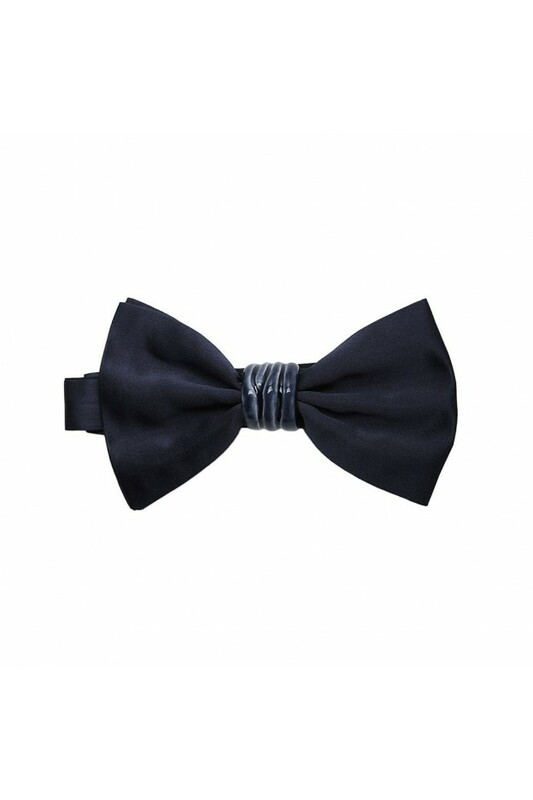 Width: 7 cm. 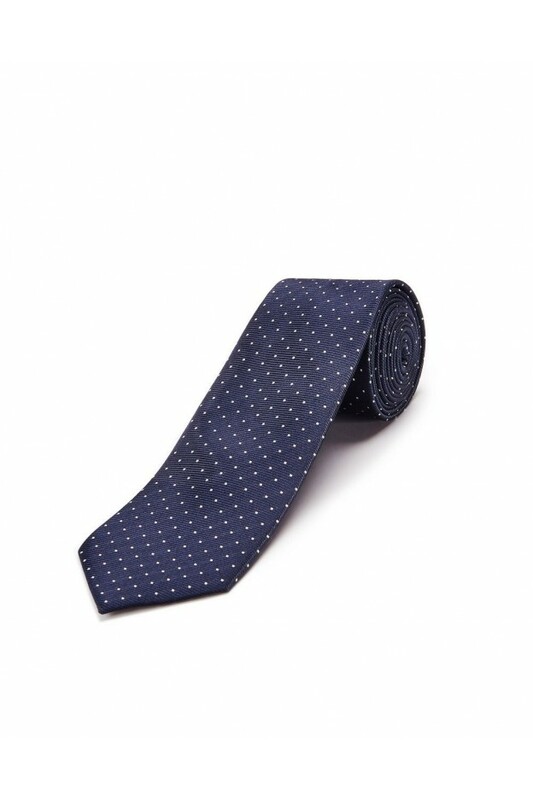 Blue navy tie in polka dot silk. 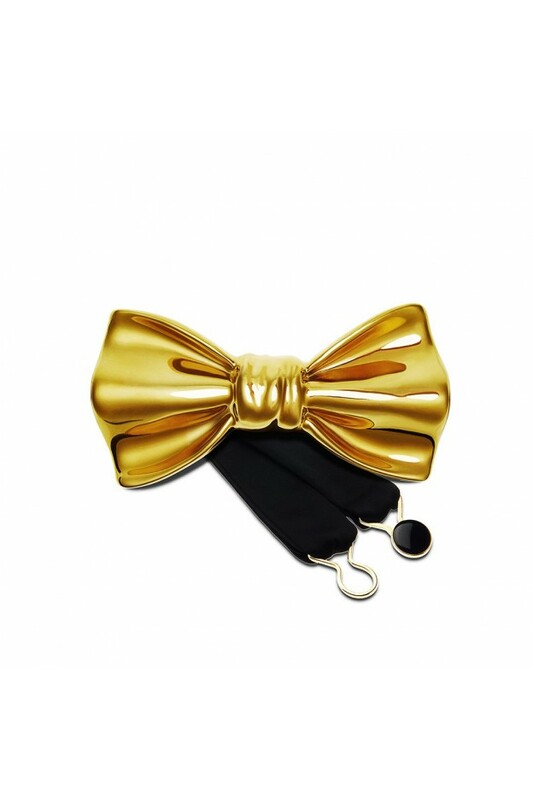 Width: 7 cm. 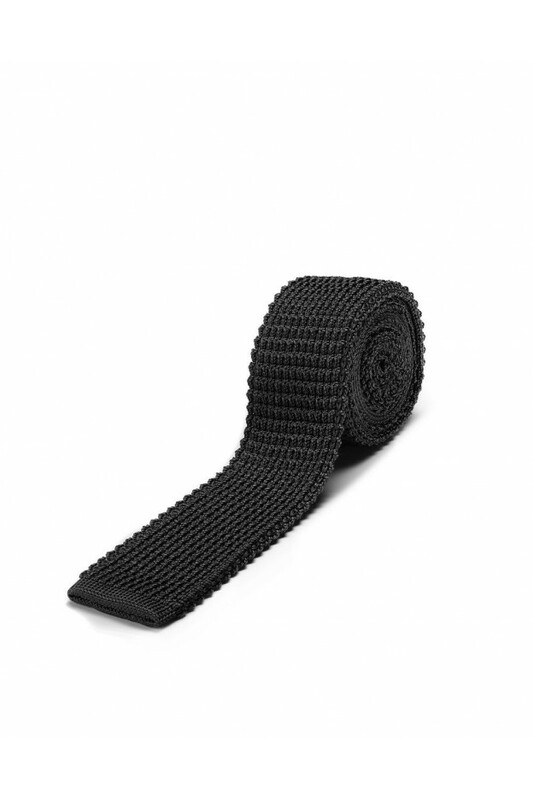 Black "Club" tie in striped silk. 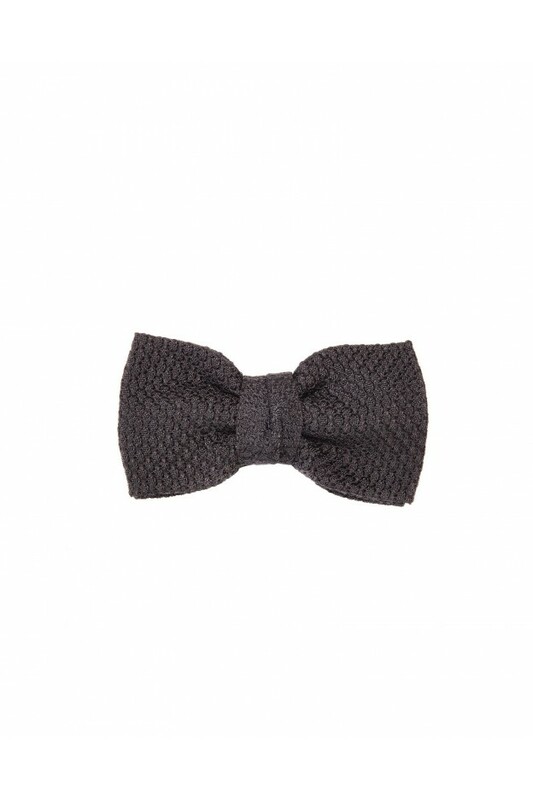 Width: 7 cm. 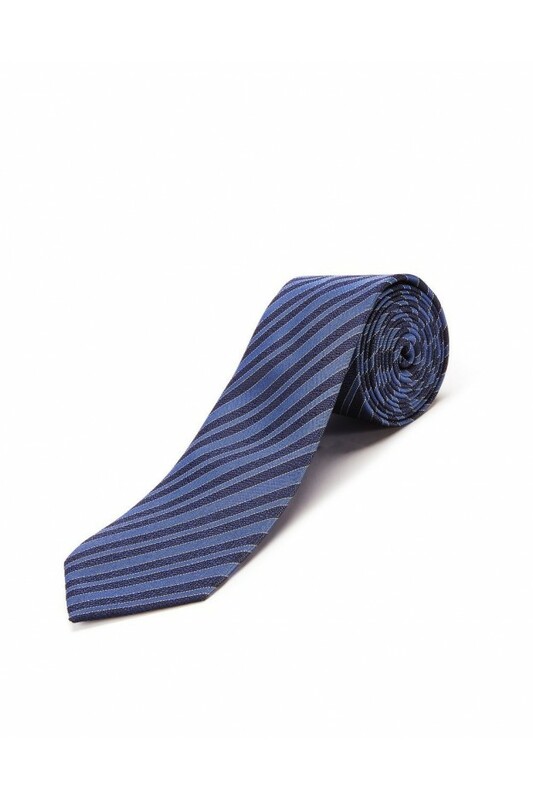 Blue navy "Club" tie in striped silk. 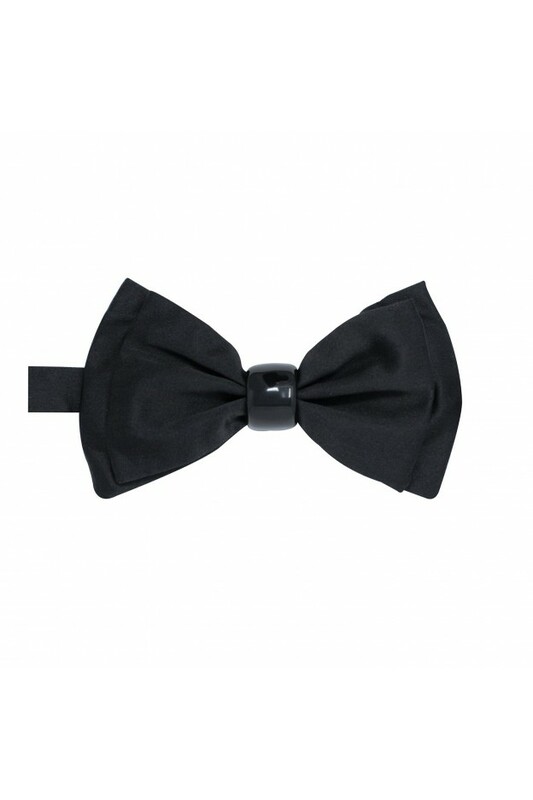 Width: 7 cm. 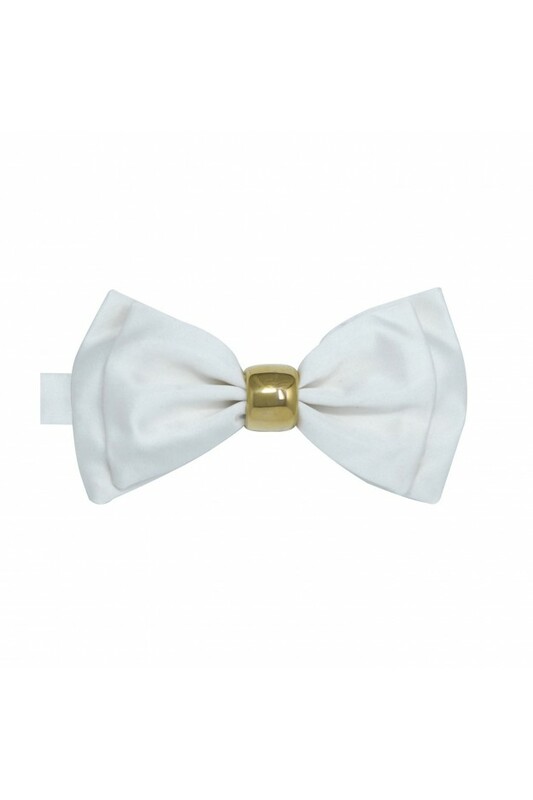 Ceramic bow tieColor: platinumMaterial: 100% ceramicWidth: 10.5 cmHeight: 5 cmCentral height: 2 cmMetal components: Nickel freeStrap adjustable according to size. 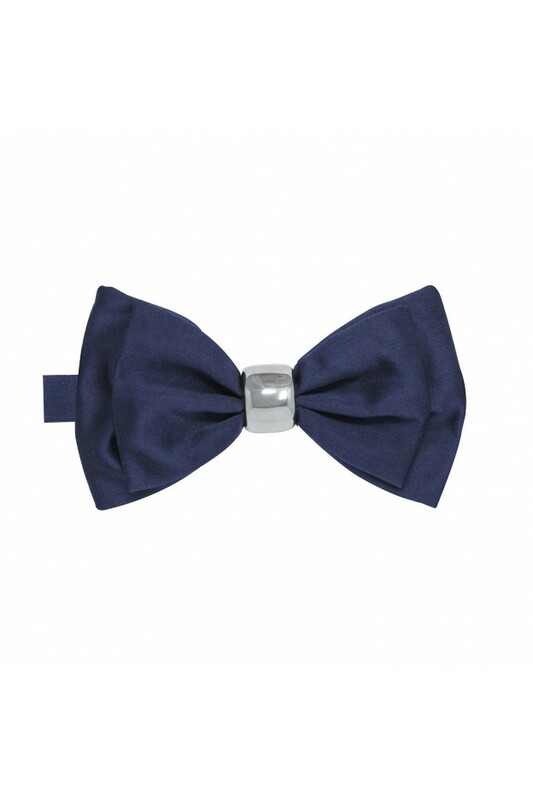 Silk bow tie with ceramic knotColor: blue, glossy blueMaterial: 100% silk, 100% ceramicWidth: 12.5 cmHeight: 7 cmCentral height: 2 cmMetal components: Nickel freeStrap adjustable according to size. 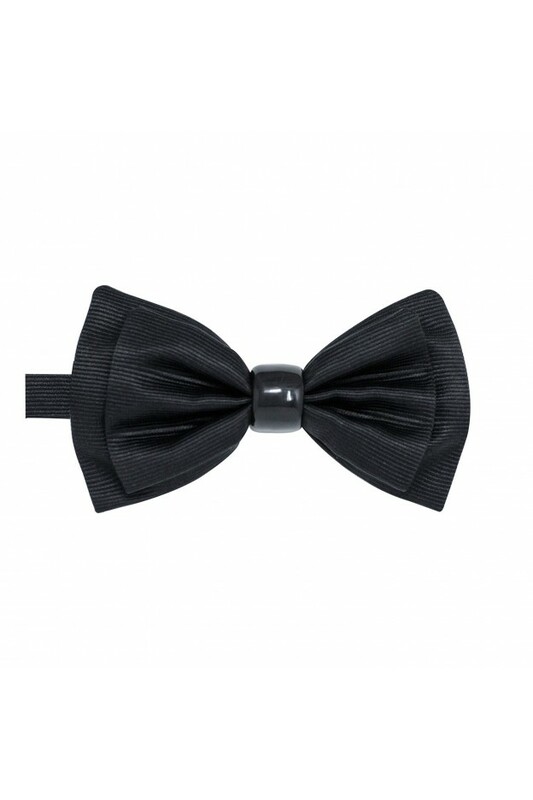 Mogador silk papillon with ceramic knotColor: black mogador, black knotMaterial: 100% ceramic, 100% silkWidth: 12.5 cmHeight: 7 cmCentral height: 2 cmStrap adjustable according to size. 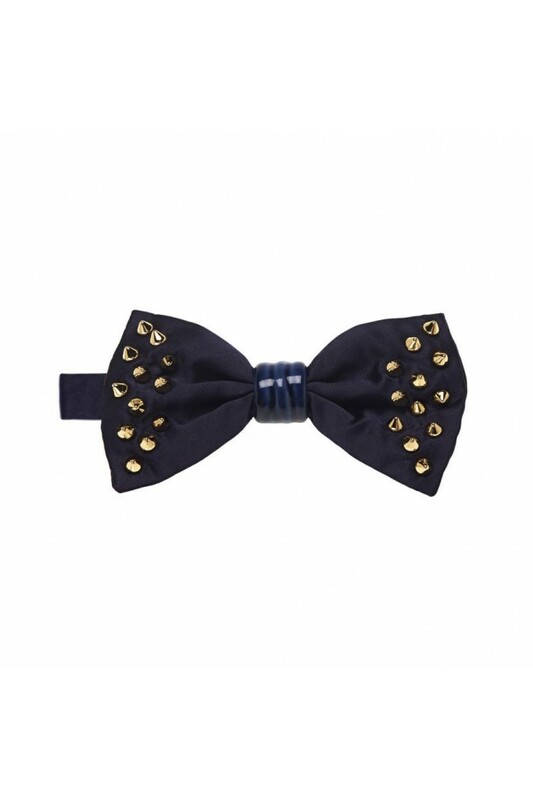 Silk bow tie with studs and ceramic knotColor: dark blueMaterial: 100% silk, 100% ceramic, metal studsWidth: 12.5 cmHeight: 7 cmCentral height: 2 cmMetal components: Nickel freeStrap adjustable according to size. Papillon in mogador silk, ceramic knotColor: black mogador silk, black knotMaterial: 100% ceramic, 100% silkWidth: 12.5 cm Height: 7 cmCentral height: 2 cmStrap adjustable according to size. 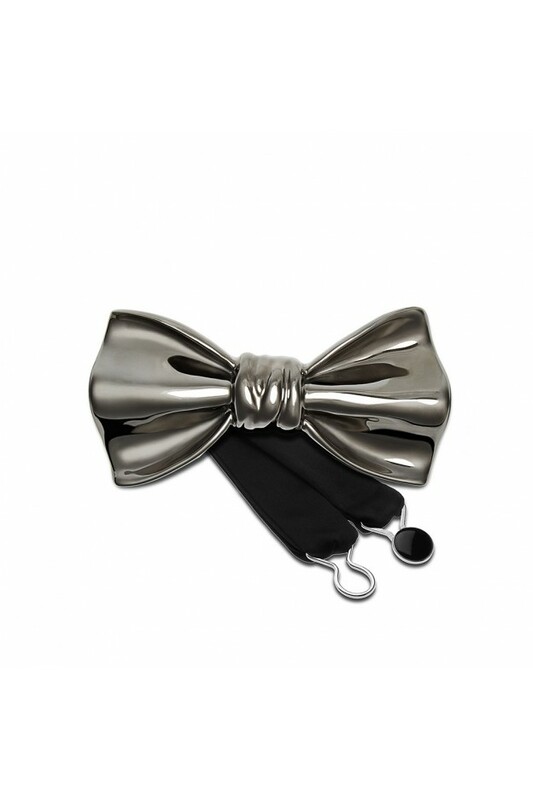 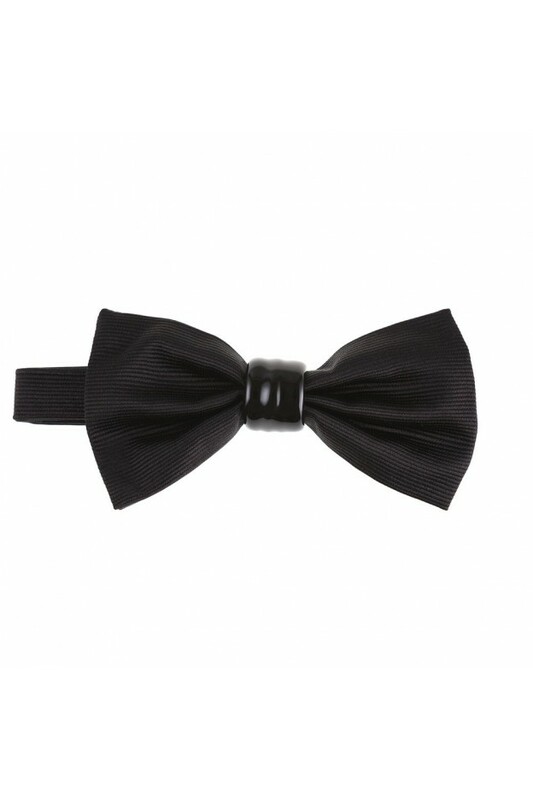 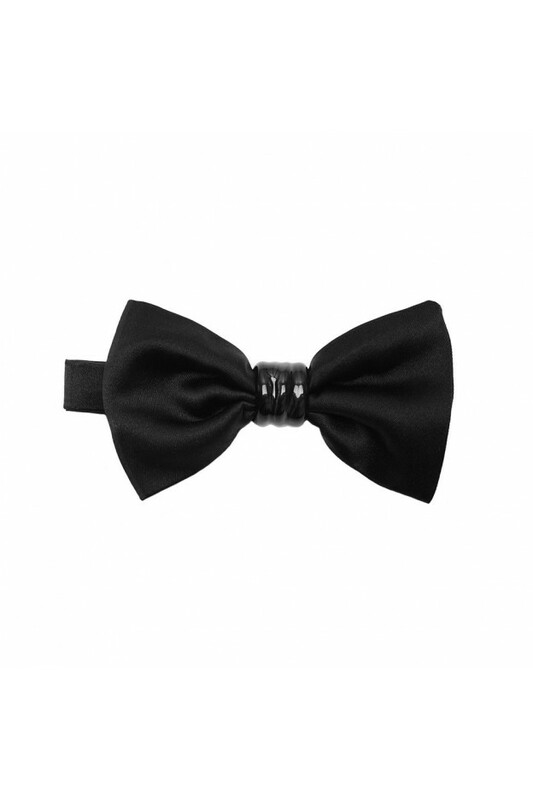 Silk bow tie ceramic knotColor: black silk, black knotMaterial: 100% ceramic, 100% silkWidth: 12.5 cmHeight: 7 cmCentral height: 2 cmStrap adjustable according to size.